I am a 4th year student at The University of Virginia, majoring in Physics and Computer Science. I have been involved with our SPS chapter since I first arrived on campus, and this past year I served as treasurer for our chapter. Currently, I am the president of our organization. My focus as president is to ensure our members' academic and professional success and to maintain our chapter's commitment to outreach and community involvement. I have also been heavily involved in physics research during my time as an undergraduate. 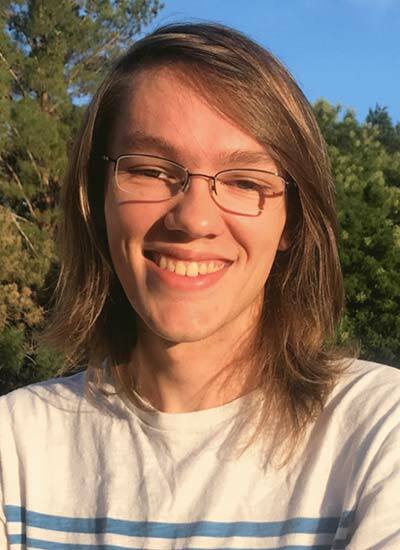 I have worked in high energy physics with the Mu2e collaboration at the University of Virginia and am currently working at the National Radio Astronomy Observatory studying binary pulsars. In the future, I will pursue a PhD in physics, where I hope to continue to pursue my dual interests in physics and computing.